As new iPad Pros are delivered worldwide today, Apple has released updates to GarageBand, Pages, Numbers, iMovie, and Keynote. GarageBand adds support for keyboard shortcuts for the iPad Pro Smart Keyboard and other Bluetooth keyboards. The app also adds a Wah stompbox pedal and Face Control for the Smart Guitar. Pages can now publish straight to Apple Books from both the iOS and Mac versions of the app. iMovie adds support for mirroring and video previewing from the new iPad Pros to external displays. The video previews added to iMovie are not surprising given the press shots published by Apple last week demonstrating the feature and can handle uncompressed 4K output. The Mac version of iMovie also removes the option to publish directly to Facebook. Instead, the app can export to a Facebook-compatible format. Released today in version 4.2, Apple's iWork suite of Pages, Keynote, and Numbers now supports Siri shortcuts in iOS 12. Additionally, each app scored a handful of new features and improvements, many of which are available across all three apps, while others are app-specific, such as animated drawings in Pages and Smart Categories in Numbers. Today's Apple event was all about education, but several of the announcements had exciting consumer-facing benefits too. 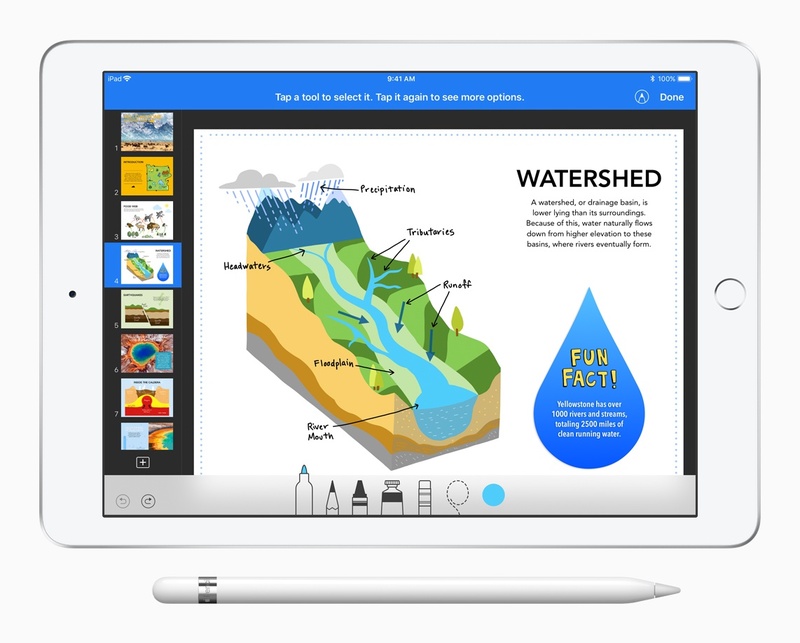 Among those was the introduction of an updated iWork suite, complete with Apple Pencil support. Pages also gained the addition of digital book creation tools, and several other goodies. Apple has released updates to its iWork suite of apps, Pages, Numbers, and Keynote, with support for iOS 11’s headlining features. There’s a commonality among the features added to each app that serves to tie them together more tightly than ever before while simultaneously making them easier to use with third-party apps. Numbers and Pages also feature a few additional revisions tailored to their specific functionality. All three iWork apps support the new document browser, a file picker view that looks and feels just like the new Files app. Instead of being constrained to iCloud Drive or pushed into an app-specific folder, you can open Pages, Numbers, and Keynote files from any cloud service that is a file provider. 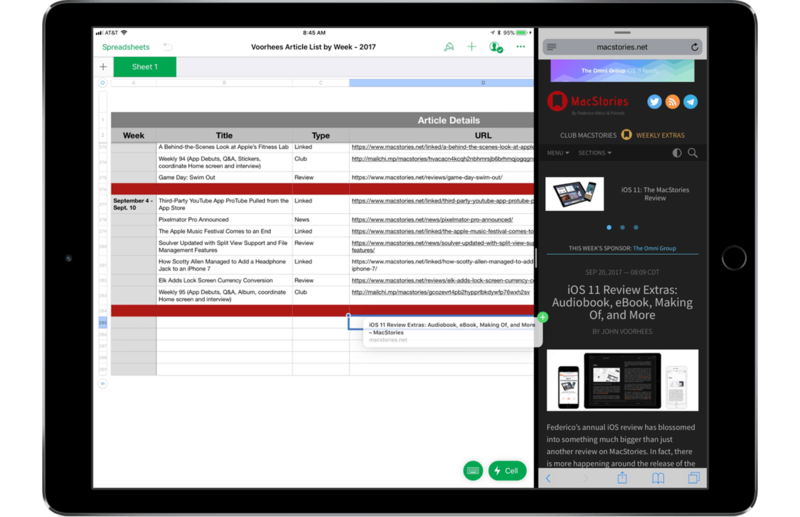 All three apps were also updated to support drag and drop of text, tables, links, images, and other content between the iWork apps and to and from other apps on the iPad. Apple also added more powerful shape manipulation features to the iWork apps. New Unite, Intersect, Subtract, and Exclude commands were added to make it easier to create custom shapes. Shapes can be broken apart into component pieces now. Apple’s support documents use the example of breaking the state of California apart from a map of the United States to use it by itself in an app. Shapes and other objects can also be arranged using new Align, Distribute, Flip Vertical, and Flip Horizontal commands. Numbers's new date, time, and duration keyboards. 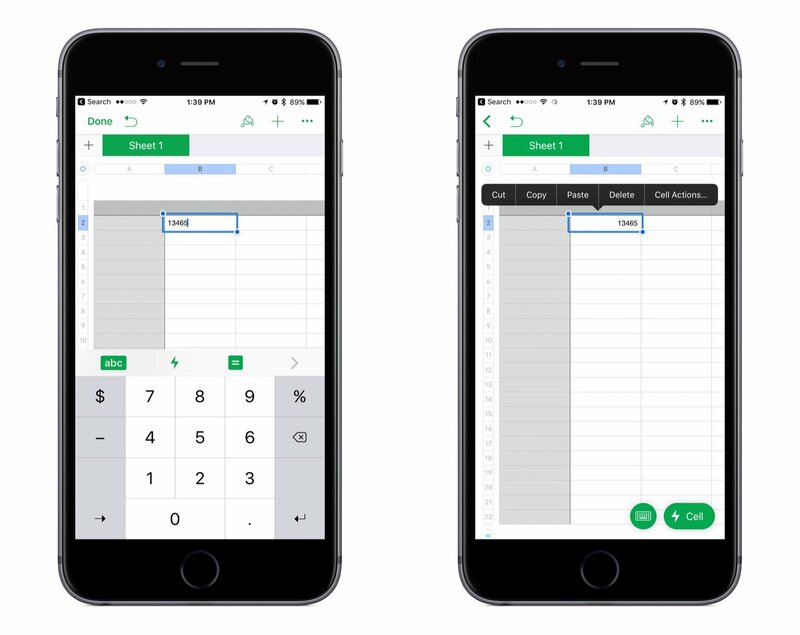 Among the unique additions to the iWork apps, Numbers gained new keyboards for more efficient input including date, time, and duration keyboards and ‘smart steppers’ for making minor adjustments to those types of values. Pages also added a modest but handy gesture. Triple tapping a paragraph now selects an entire paragraph, something I wish more third-party apps supported. I’m glad to see Apple adding iOS 11 features to the iWork suite on launch day. Adopting the latest technologies of its operating system encourages third-party adoption and serves as an example of how Apple expects those features to be implemented by third parties. It also brings new power and flexibility to each app for users, making them useful alternatives to apps like Microsoft’s Office suite. The Pages, Numbers, and Keynote updates are available on the App Store. 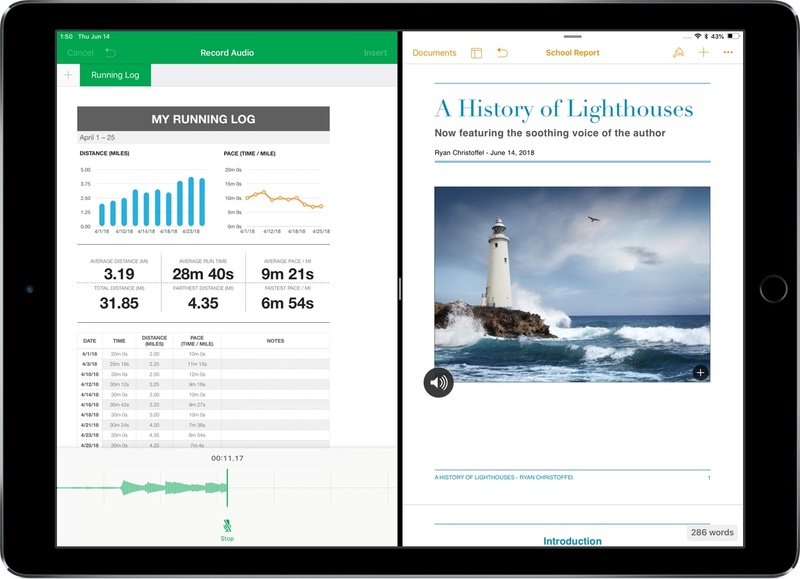 Today Apple released updates for its entire iWork suite across iOS and macOS. Pages, Keynote, and Numbers each received several improvements, some of which are shared and others of which are unique to certain apps. 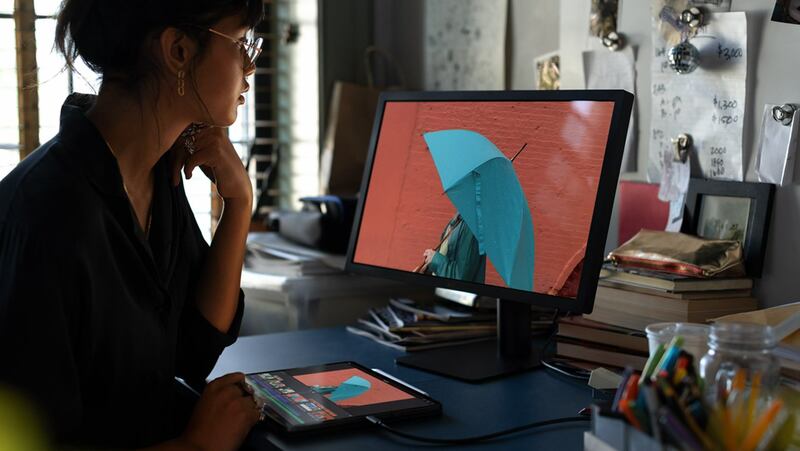 Apple released updates to its iWork suite across iOS and macOS today. The changes largely consist of bug fixes and stability improvements, but a couple of notable improvements were made to Numbers. In the last big update for Numbers, a new cell action menu was added to handle common tasks like copying/pasting, adding formulas, and more. 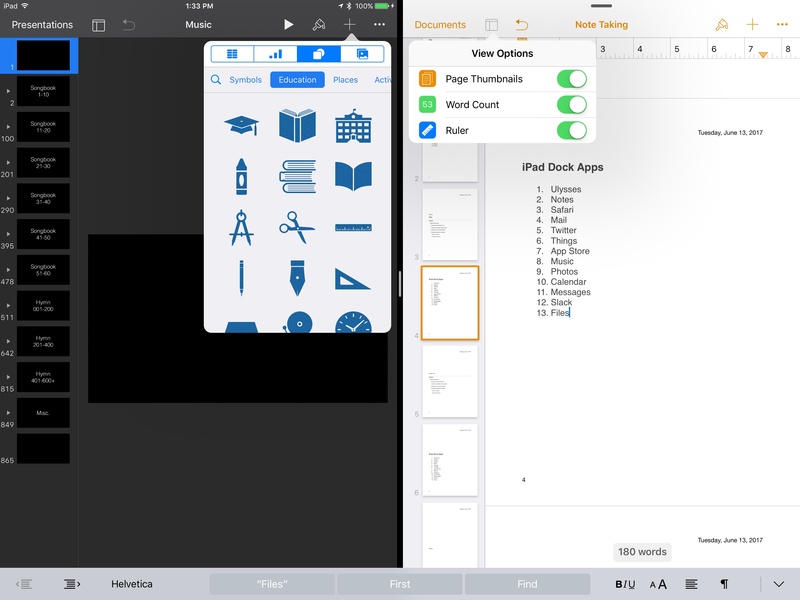 But with the arrival of this cell menu, a couple subtractions were also made: the numeric keyboard on iPad was removed, along with the copy/paste menu that would appear when you selected a cell. Federico covered the details of those changes in his recent iPad Diaries story on Numbers. But with today's update, both of those items have now been restored to the app. In the past when Apple has removed features from an app, those features often would never come back, or if they did it took a while. I'm thankful that Numbers users don't have to wait any longer to work in the app the way they're used to. All of these apps have been available free to anyone purchasing a new iOS device since September 2013 – or 2014 in GarageBand's case – so today's updated pricing should come as no surprise. Likely the majority of devices in the world today that are modern enough to run the latest versions of these apps will have already enjoyed the privilege of free downloads. Today's change will be a welcome one to everyone with an older device though.